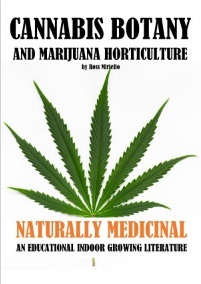 The Cannabis Botany and Marijuana Horticulture book is an educational indoor growing literature with efficient MH botanist methods and techniques utilizing the newest and most modern ways of cultivating our favorite Naturally Medicinal cannabis plants indoors and all year round. Over 15 years of developments have been dedicated to personal consumption, medical patients and industrial growing operations only to achieve the best possible results in every category known to industry experts. All 16 chapters are a step-by-step instruction manual, contained within 204 pages of information (7 x 10-inch format) with over 100 charts and 120 images, for all cannabis growers. Chapters on grow rooms & workspace, air circulation & CO2 levels, timing cycles, lamps & electricity, soil & containers, perpetual rotation & yield ratio, harvesting & equipment are explained in detail to provide a professional growing operation capable of producing marijuana of medical grade. All stages (or production sequences) of the cannabis plant life cycle are detailed and explained; plant biology, seeds & strains, sexing & selecting, how to create new clones, cloning rotation, cloning & 4’’ vegetation, 8’’ vegetation, darkness, pre-flowering, flowering & fructification, flush & darkroom. 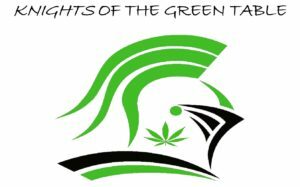 The nutrient solution chapter provides a multitude of recipes (18) for a great number of varieties, strains and required periods of maturation that can guarantee a quantity, with yields of over 1 Gram/Watt, and most importantly a quality product that a master grower achieves. The production schedule chapter ensures a seamless and perfect perpetual rotation cycle of each production sequence and its multiple growing rooms. This leads all of the plant manipulation methods to be efficient and maximize each stage of the cannabis plant life cycle. Working with laboratory grade technology and equipment appreciated by all professional cannabis growers and utilizing a Pro-Mix HP soilless hydroponic system allows a straightforward and hassle free indoor growing operation.